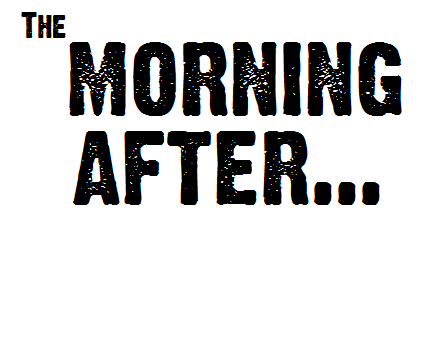 What about the morning after? Often the phrase is associated with, You will feel better in the morning. Other times it is a reference to regret, You will pay for that in the morning. Good Friday, interestingly titled, and only so by those who look at the corresponding events through Resurrection Sunday, is one of those mornings after. The long night of betrayal, trial, and denial gives way to the stark reality that death awaits. Paul continues that pattern. He passed the Story on. His aim is to describe the details of the Last Supper as a corrective to patterns that had developed in the church there. On the night he was betrayed. Did you ever think that the relational conflict rooted in feelings of spiritual superiority could link what Paul writes here to the other areas of trouble he writes about to the Corinthian Church? Who would have thought? The Story of Jesus has been told to Christians enough that when the subject of betrayal comes up we immediately think of Judas. Consider that low hanging fruit. Everyone who reads the story of Judas this far from the event finds it hard and odd that Judas would betray Jesus. We seize on remarks that he was destined for this, the son of perdition. It is as if we dare not take the time to fit Judas into his context. It is enough to read it out of time, anachronistically. Who cares what motives he might have had. Remember, there is an inference that it had to do with the money. Again, that is too easy. Peter Rollins takes a different look at Judas. You may not care for his probing. But, he points out that given Jesus’ trajectory, as a messianic figure, Judas may have actually been more faithful. He may have been the literalist. He fits Jesus words into his historic, religious, and political understanding and saw in Jesus the liberation of which he and all Israel dreamed. Before you dismiss this notion, and the brevity of the description, think about how many times the gospel writers note how the disciples misunderstand Jesus. Why is it so hard to give Judas space for not understanding? Think of Mark 8-10. Note how many times (3) Jesus talked about his own future. Each incident it followed by followers that do not get it. We rail on Judas and let all others who betray Jesus’ words get a pass. Somehow we read Peter’s denial as less than betrayal. He did not give Jesus to his enemies. It is here where our treatment of Judas provides a means to obscure our own betrayals. That’s right. On the night Jesus was betrayed. Stanley Hauerwas notes that Jesus did not will himself off the cross. His corollary was that we would have. We could not have, would not have, submitted to death. Those of us who follow after Jesus find it hard to die to the very ideas and practices that prompted Jesus’ enemies to kill him. We hear the followers call, “Deny yourself, take up your cross, and follow him.” But, we often do not have the will to follow that call. How is that not betrayal? Do not cheapen the event by forging of Jesus’ action a call to suffer abuse and neglect. The sort of detail and cross carrying Jesus described is what follows from service to the other/Other. What triggered the obstinacy and indignation of the religious leaders stemmed not from Jesus suffering arbitrary abuse and neglect. Instead, Jesus suffered for standing with and for those who had no one to stand with and for them. Our betrayals come as we who self-identify as Christian stand by when we could stand with and for others. How is it that those so close become the very ones that betray so consistently? Here it is, Good Friday, the morning after . . .